Learn tips and ideas for keeping your heart healthy! Light snacks will be provided. 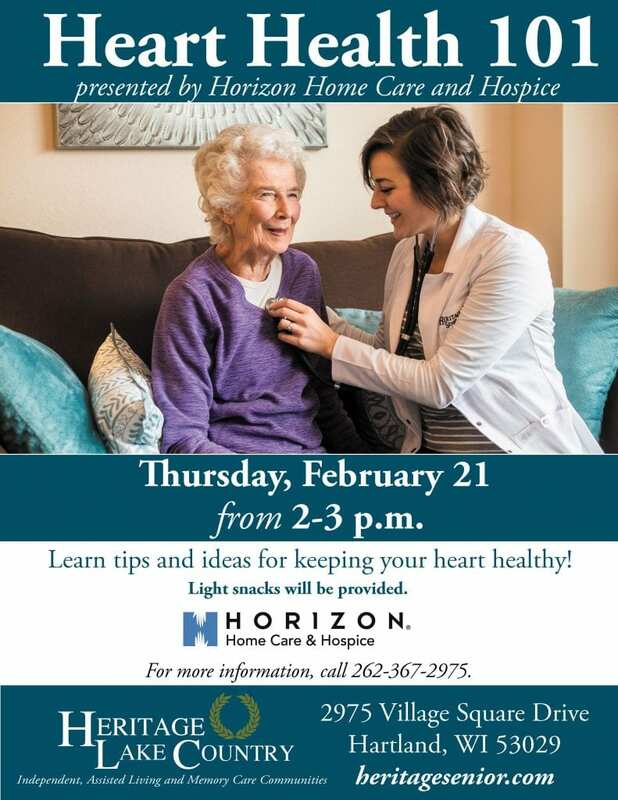 Presented by Horizon Home Care and Hospice. For more information, call 262-367-2975.